Keeping kids healthy and strong is a top priority for parents, or anyone who plays a major role in a child's life. One way to accomplish this is to assure that kids are active and get involved in youth sports. While many kids thrive while playing sports, few get through the experience without some wear and tear on their bodies. That is one of the reasons why chiropractic care for children has become increasingly common. Here at Wilson Family Chiropractic in Dunwoody, our chiropractor advises chiropractic treatment for youth sports injuries and to prevent any future sports injuries. 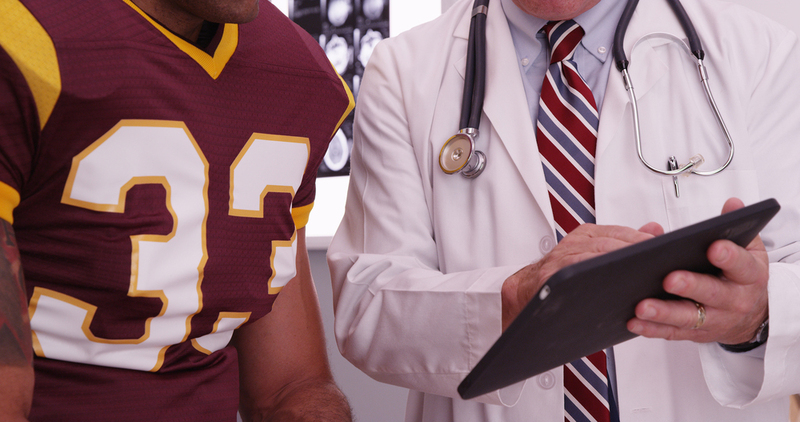 Athletes are among the most common patients to come into a chiropractor's office. This is true whether those athletes are playing professional level sports, including NFL football, or if they are from the high school track team, or just some kids playing tag in the back yard, or enjoying the occasional pick up game at the park. Chiropractic treatment for athletes is nothing new. More than three quarters of professional football trainers send their players to see a chiropractor when it seems like something has become misaligned or if the payer needs a boost to their recovery. Chiropractic care is often misunderstood when it comes to children, because some worry that a child's musculoskeletal system is not mature enough to handle the care. While it is noble to be concerned about chiropractic treatment for young athletes, it is important to keep in mind that at Wilson Family Chiropractic, our chiropractor uses gentle method and takes into consideration a child's developing body and works hard to see that treatments can be completed without causing injury. Another upside of children receiving chiropractic care comes from the way it uses a whole body approach the works with the body's natural ability to heal itself. Children are given the opportunity to learn to listen to their bodies and take the necessary preventative measures to stay healthy, such as therapeutic exercises and stretches. Also, since drugs are not used in treatment, going to a chiropractor can also be a great way for parents to look for solutions to their children’s injuries that doesn't include reliance on pain medications. At Wilson Family Chiropractic, we are skilled in taking care of patients of all ages and help them gain the strength they need to prevent injury. To learn more about how we can help you or your children get the most out of chiropractic care and whatever sport they choose to participate in, contact Wilson Family Chiropractic in Dunwoody, GA at 678-205-1573.